The old Sussex County Courthouse, on Bedford Street in Georgetown. 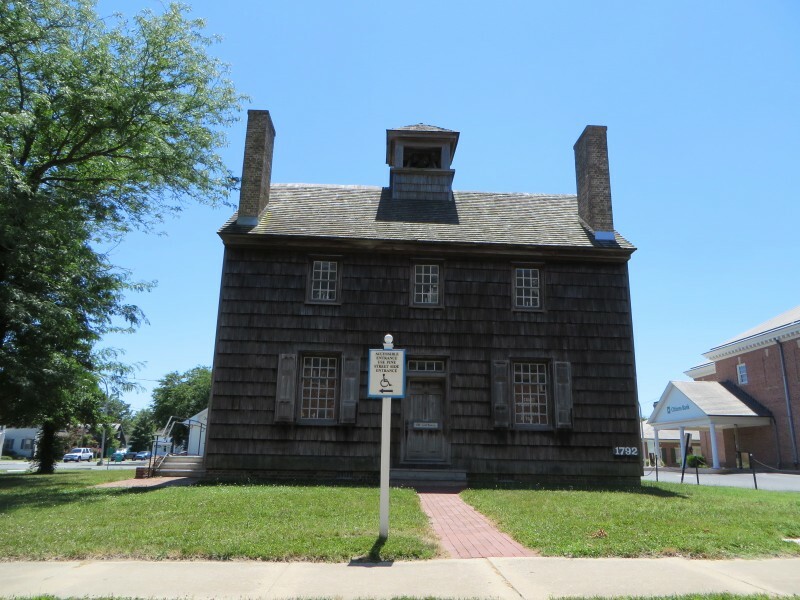 The courthouse was built in 1793 when the county seat was moved here, to “James Pettyjohn’s old field” as it was called at the time, in 1792. The courthouse was moved in 1837 when the current courthouse was built. Photo by xzmattzx.